I stayed up way-too-late working on cookbook edits on Sunday night. 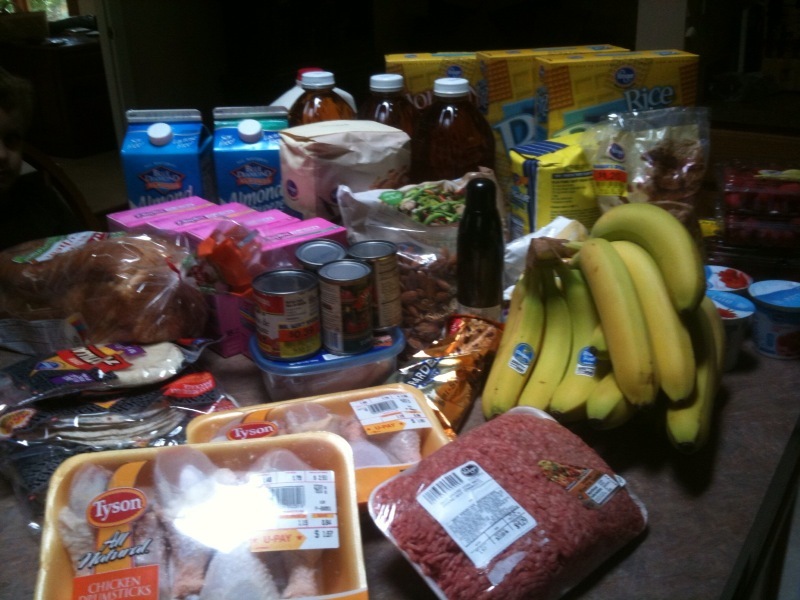 The sacrifice…my grocery list. I typically make my grocery list and print/gather coupons on Sunday evenings. Makes for a smooth-ish Monday morning. This week it just didn’t happen…and I’m ok with it. Mostly because the Buy 10, Get $5 Off sale that started yesterday will still be going on next week. I saw quite a few of our favorite products mentioned in the ad, as well as additional ones in the store this morning. So you can bet I’ll be rocking the coupon matchups next week. I did get some great deals on this week’s trip though! We had quite a bit of produce leftover from last week’s adventures with my mom…so I just grabbed a few things to add to our stash. Our Dillon’s doesn’t rotate ads until Wednesday, so it’s so fun to see what the upcoming sale is when you go grocery shopping on Monday. I also think it’s great that you seem to match up with me in Kansas on sales (and usually pricing, too!). Erin~ i know you love the printable coupons, and i was a big fan of them until hubby realized that we were getting tons of viruses from the coupon printing programs…how do you prevent this. we have a reliable viirus scanner, but since we had given the coupon printer permission to pass info through our firewall we couldn’t stop the viruses…any tips? Is your virus scanner updated…I get an “out loud” message every few hours from my antivirus program that says “virus database has been updated”…there are a gazillion viruses out there, with millions of new ones created daily. I’d make sure your program is being updated regularly. Also, what browser are you using?! Sometimes that makes a diff too. I only use Firefox for printing coupons.